President Obama’s goal of having 1 million electric vehicles on U.S. roads by 2015 is still “possible,” U.S. Energy Secretary Steven Chu said. Chu said electric-vehicle sales will depend on how quickly the price of their batteries decreases. The Department of Energy has previously said it expected battery costs per kilowatt hour to drop to $300 in 2015 and $100 in 2030. Nissan Motor Co. sold 9,674 of its Leaf electric cars last year, narrowly missing its target of 10,000. General Motors Co.’s Chevrolet dealers sold 7,671 of its Volt plug-in hybrids, also falling just short of its U.S. sales goal of 10,000. 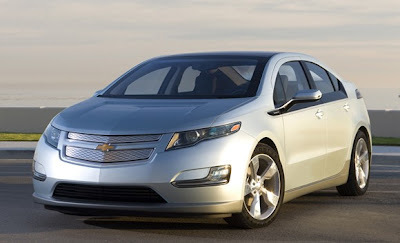 Both of the 2011 models were the automakers’ first electric vehicles to sell in the U.S.